Some people can eat all the right foods, not smoke, not drink alcohol, and still suffer from halitosis! So don’t be embarrassed if you feel you’re alone. What Is The Definition Of Halitosis? Halitosis is simply the term used by dentists and medical professionals to describe bad breath. Addressing someone with halitosis can be smelly and embarrassing. Unfortunately, it’s common for our noses to go ‘blind’ when in the presence of the same smell for a long period of time. This means that many of those with bad breath aren’t even aware they have it. This can potentially make for a very embarrassing situation. Many instances of halitosis or bad breath are unknown to the individual and they normally have to be told by a friend, significant other, family member, or dental professional. When asking, “what are the causes of halitosis” there can be many answers, but normally the issue of bad breath originates in the mouth, the tongue, our gums, stomach, nose and/or sinus issues. The aspects below detail many of the causes of halitosis and how each part of your body can contribute to the cause of bad breath. The ADA reports that almost 90% of halitosis or bad breath issues originate in the mouth. The most common cause of halitosis in our mouth is due to the sulfur-producing bacteria that are found in the pockets between our teeth, beneath our gum line or on our tongue. These bacteria-containing biofilms provide a home for bacteria, which means they are a large contributing factor to the problem of bad breath. Even tougher, these biofilms can’t be penetrated by old-fashioned alcohol rinses, which means you need a more sophisticated solution. So when you’re smelling bad breath, what you’re actually smelling are bad breath sulfur compounds, created by a normal and natural process in your mouth. But just because it’s normal, doesn’t mean it’s pleasant! The intensity of your bad breath or halitosis can be worsened by the substances we’re putting in our body throughout the day. Unfortunately for many, halitosis is present regardless of the foods they eat. Eating garlic, onions, meat, fish, cheese, and other substances high in protein, sugar or acidity. –could all increase your risk for bad breath and cause halitosis. There could also be additional oral issues that may contribute to the cause of halitosis. The tongue is one area where halitosis can begin. The bacteria on the back of our tongue produces fatty acids, and when consumed by the bacteria in our mouth, they will give off VSCs, or sulfur gases. The tongue remains relatively dry and poorly cleaned in those with dry mouth, so it will become an ideal habitat for those VSC producing bacteria. Think of your tongue as their vacationing hotspot, where these bacteria have an all-inclusive vacation constantly feeding on food debris, dead epithelial cells, postnasal drip, and remaining bacteria. So, always ensure that you’re consistently cleaning your tongue and keeping yourself hydrated so you can avoid these halitosis issues as much as possible. Another common issue that is known to cause halitosis would be periodontal diseases, or gum diseases, such as gingivitis. When the hidden germs and bacteria ingest protein particles in our gum line, they produce VSCs or sulfur gas in the same way they do on our teeth and tongue. Talk to your dental professional about removing subgingival calculus, otherwise known as tartar or plaque. Methods like this, when performed by a trained dental hygienist have been known to tremendously improve bad breath. Our nose and sinuses are known to cause halitosis and bad breath. Could cause foul smelling sulfuric gases to emit from your throat and exit out your mouth. If you think this could be the cause of halitosis, consult your medical professional. There is a myriad of other bodily issues or aspects of daily life that can cause bad breath. Are all known to lead to bad breath. For an issue like dry mouth, our saliva production is important for proper oral health. Not only does it keep our mouth comfortable, but it removes food particles so that unwanted bacteria can’t feed and produce the stinky sulfur gas known as VSCs. That’s why it’s important to consult your doctor if you’re taking medications that are causing dry mouth or cottonmouth symptoms. Consistent dry mouth can and more than likely will lead to bad breath. What Are The Signs Of Halitosis? Just like halitosis has many causes, there is also a multitude of signs that go along with recognizing the issue. It’s easy to become nose blind to our own smells. So if we can’t smell our own breath, and we don’t want to ask others, what signs can we be on the lookout for? If you’re experiencing some or all of the following, you may have bad breath. Even if you can’t smell it! Remember, halitosis can have a tremendous effect on one’s self-esteem and confidence. It can make daily aspects of work life, social life, and family life tougher than normal. But remember, it can be helped with proper oral care and with some guidance from your dental professional. You have to go after the real cause: SULFUR GAS! If you’ve tried all of these solutions to combat bad breath or halitosis and you’re still experiencing bad breath, we’d suggest you try some proven solutions to eliminate and prevent Volatile Sulfur Compounds. 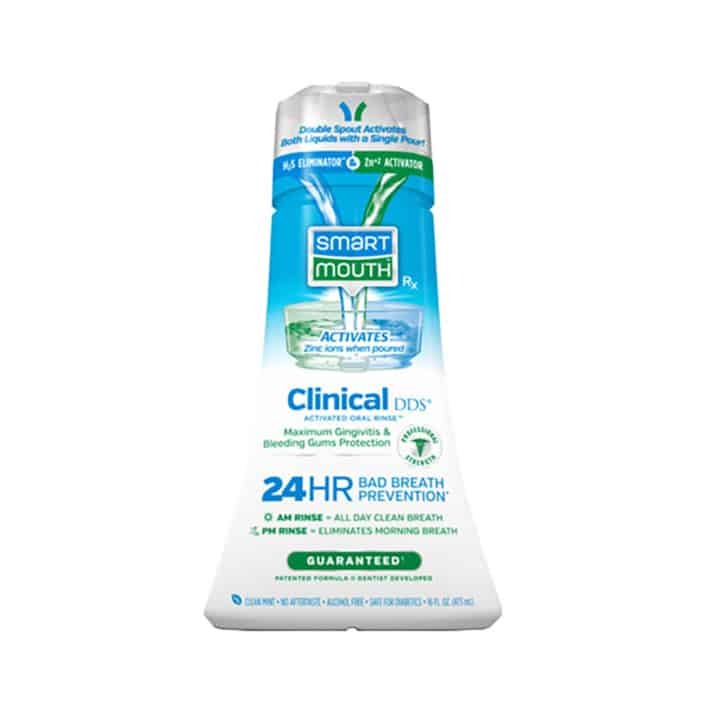 SmartMouth is the only mouthwash clinically proven to eliminate and prevent bad breath for 12 hours with every rinse. 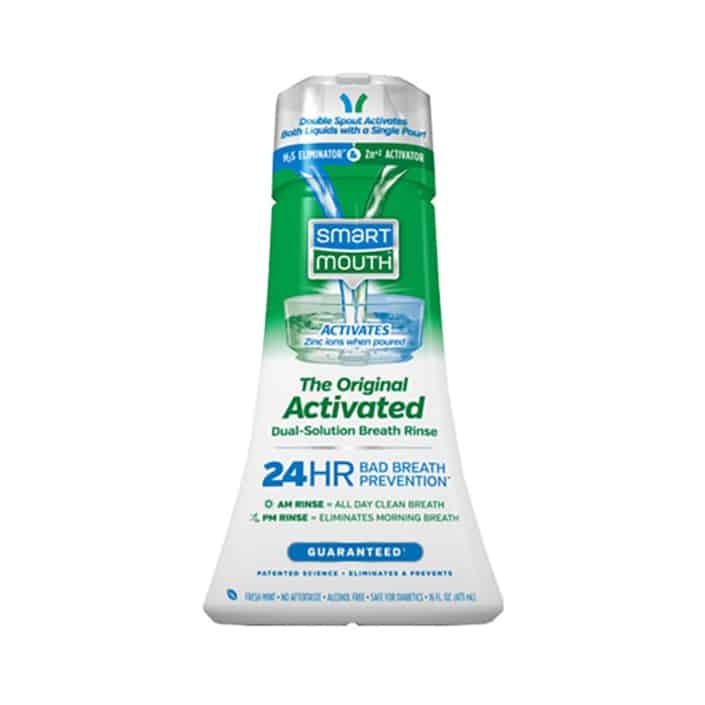 So, next time you find yourself struggling with bad breath, know that SmartMouth is the answer.